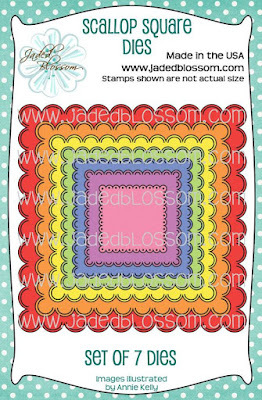 Paper Crafts by Candace: Jaded Blossom July Die Release Day 2! 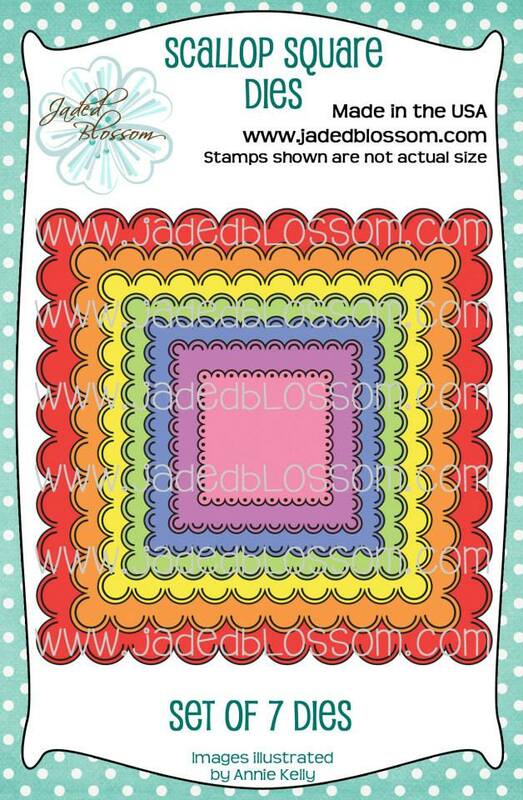 Jaded Blossom July Die Release Day 2! Hey Everyone, It's time for the July Die Release over at Jaded Blossom! But first a sneak at the Amazing Sale coming up on July 1st! 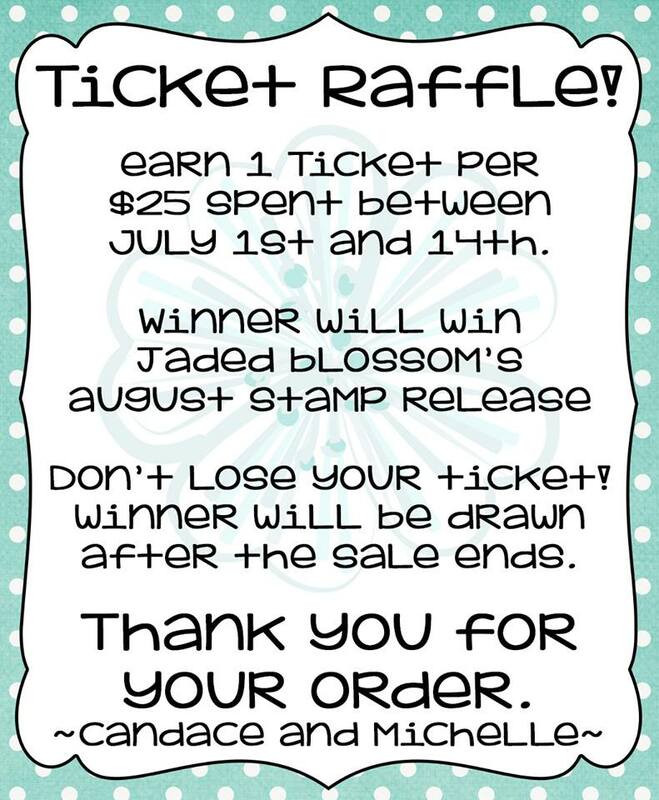 Along with the sale there will be a ticket raffle! 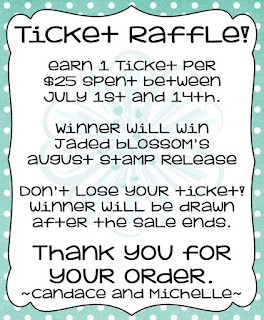 Earn tickets based on how much you spend during the sale, the winner will win the August stamp release package! Now onto the New Dies for today!!! 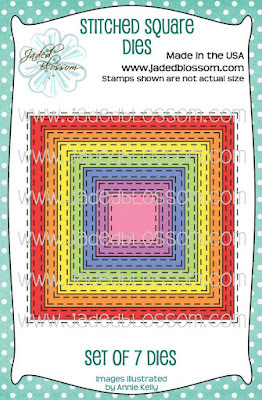 Each set includes 7 nesting dies! And here is what the inside looks like. 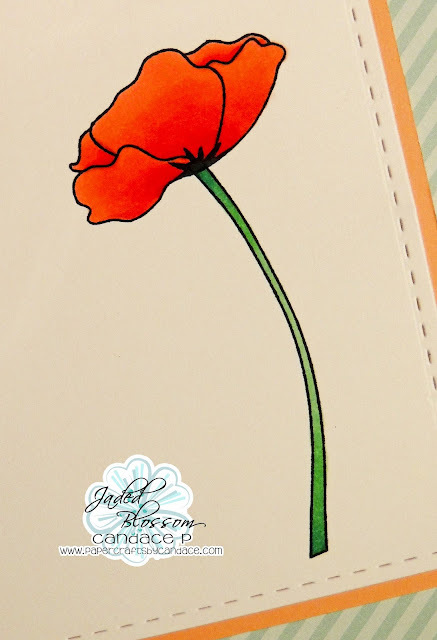 I used my copics to color the poppy. Oh how Pretty! 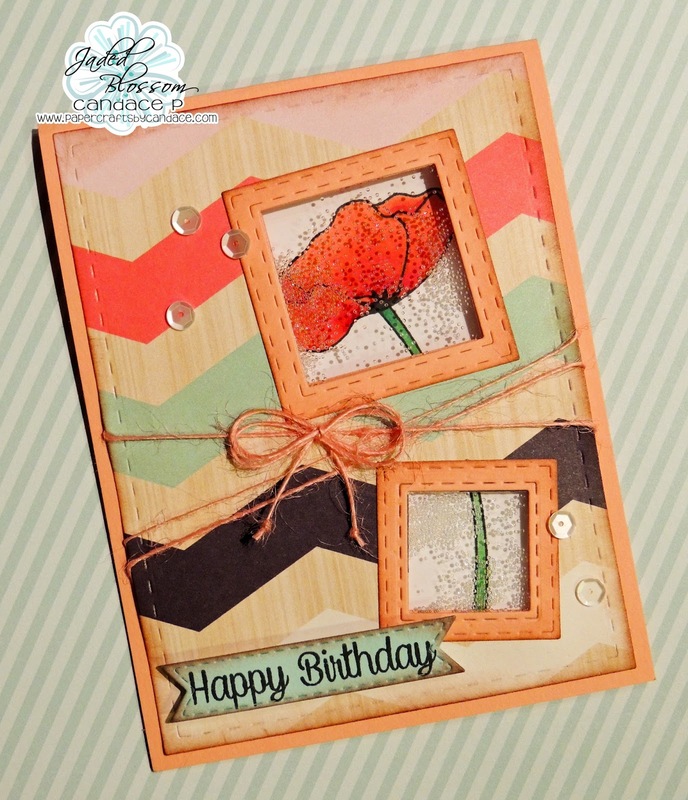 Your Shaker card looks wonderful! 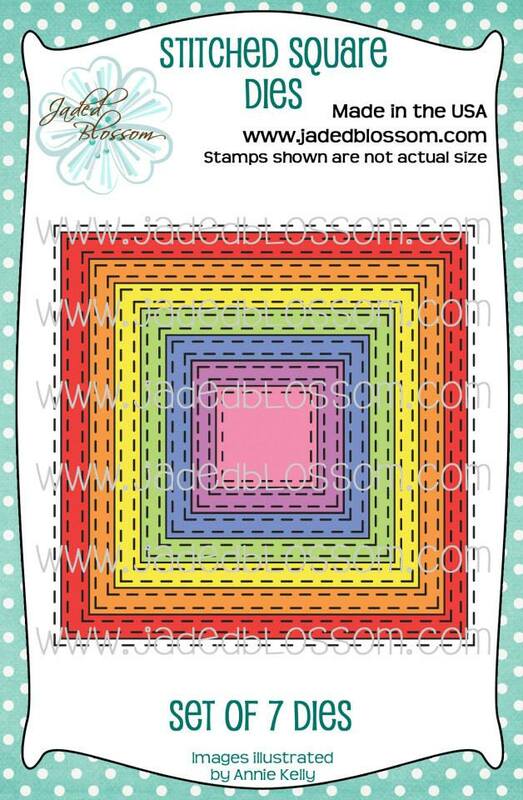 :) Have a Crafty Day! This card is just GORGEOUS! 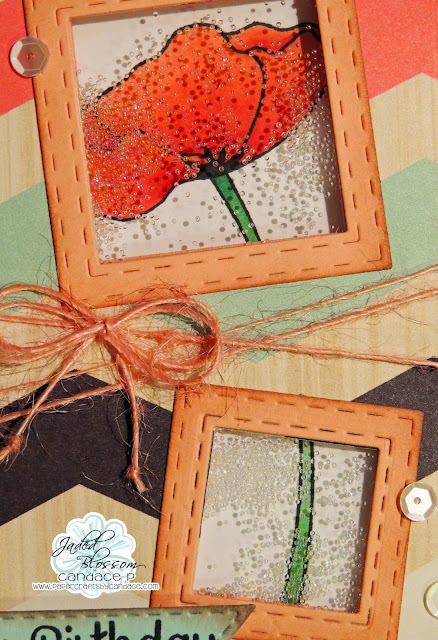 Love the windows you created and you colored the poppy beautifully! This is just simply beautiful! Awesome job!! 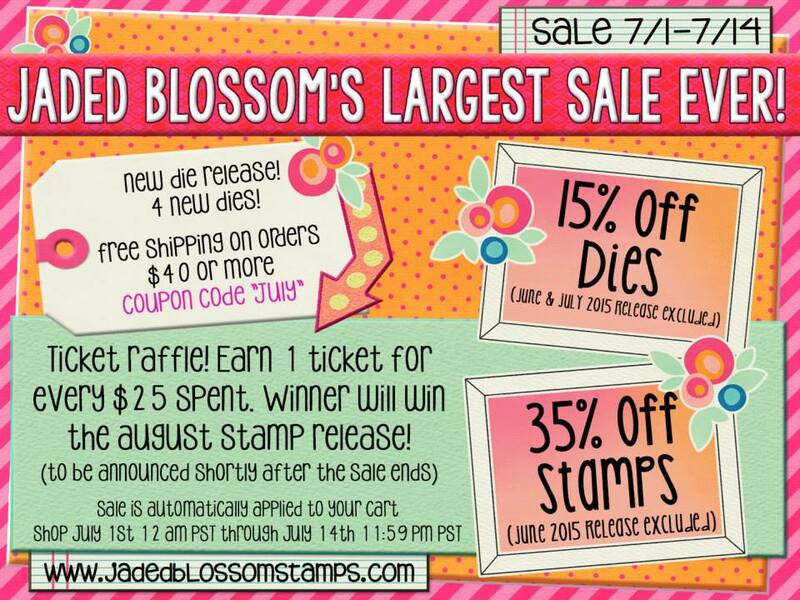 Jaded Blossom July Die Release Day 1!